This cartoon (a full-size preparatory drawing) is drawn on 26 sheets of paper and is over 2 metres high. 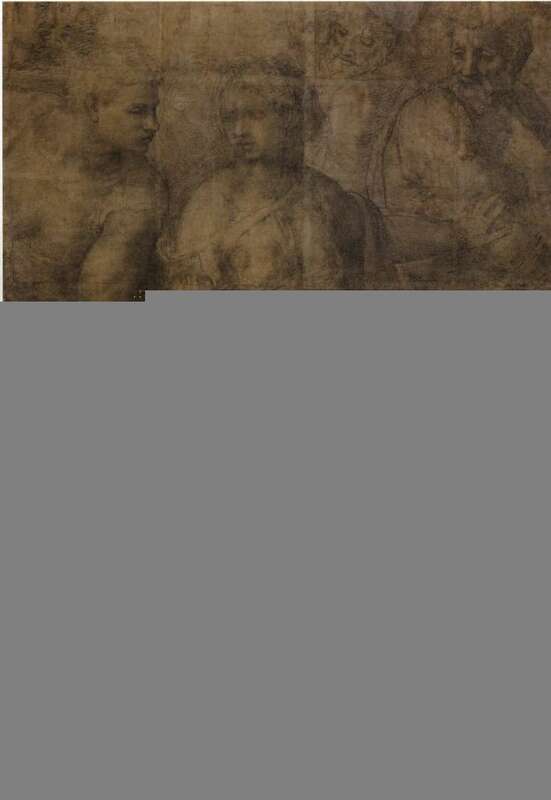 Many alterations are visible, showing how Michelangelo changed his mind about the forms and the composition. In the centre is the Virgin Mary, with Christ sitting between her legs. She pushes away a male figure to the right, probably St Joseph, with the infant St John the Baptist in front. On the left is an unidentified figure and others are just visible in the background. The imagery refers to the brothers and sisters of Christ mentioned in the Gospels. The title may refer to the fourth-century Greek saint St Epiphanias (c. AD 315-403), who believed they were the children of St Joseph by a previous marriage and that Mary's marriage to Joseph was never consummated. This would also explain Mary's gesture towards Joseph.